Micromax is working hard to compete in the world markets. Many mid range smartphones are released with great features. To access the administrative privileges and to access all the features of your smartphone to extremes rooting is very necessary. A need to root your Micromax A68 is very necessary. 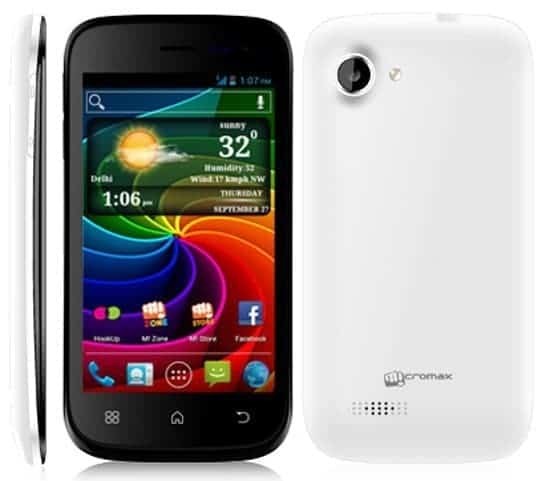 so we are posting the procedure to root Micromax A68 and also the procedure to install the CMW. Though it’s smaller in size, we can’t root it easily by “Binary Root” application. 3. Please make sure you have backed up the important data into your memory chip. 4.Your USB drives are available here. Install them. Click here to download. Step 1: Download this Root Package and extract the zip on your desktop. Step 2: Connect your phone via USB cable on your computer. Step 3: Now, from the extracted folder locate and open “RunMe.bat” file and from there select “Normal Mode” by pressing “1“. Step 4: On screen you will see some instructions. Follow that instruction and start the rooting process on your phone. Step 5: Now, it will root automatically and you will receive the confirmation. So finally you rooted the phone. I guess this simple guide “Guide to root Micromax A68 and Install CWM Recovery” , has helped you. if you want to cross check that your phone is rooted or not then you can download Root Checker application and verify by yourself. Step 6: Download CWM Recovery and copy to external SD card after renaming it to “recovery.img“. Step 7: Then Download and install MobileUncle MTK Tools here only. Step 8: After installing, open the application and select the option “recovery update“. As soon as you select, it will ask for the path of recovery file (recovery.img), give the path where you have copied the recovery file and then click “OK”. Hurray, you have successfully installed CWM Recovery on Micromax a68. If you face any problem while rooting or in installing CWM Recovery on the phone, then put your query or problem via comments below we will help you out! All the procedures posted are are taken from different sources on internet. we don’t hold any responsibility if your phone is bricked. Previous articleHas the race to secure links in the supply chain begun?